At Sperling Diagnostic Group, your path to wellness is our first priority. Through state-of-the-art imaging, advanced treatment options, and compassionate care, we’ll get you there—together. We don’t succeed unless our patients feel safe, comfortable, and informed. With world-renowned expertise and the most advanced tools in the field, we’ll be here for you every step of the way. With the most advanced MRI technology available and the most sophisticated interpreters of MRI results, we’ll provide a clearer picture of your condition—faster, easier, and with less stress than anywhere else. 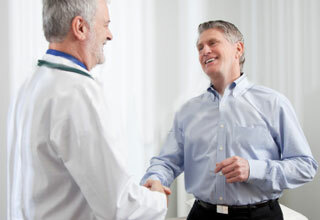 The best healthcare experiences start with your comfort and confidence. We make every effort to provide you with all the tools you need to get the most out of your visit and make informed healthcare decisions. Request an appointment and one of our specialists will contact you within 24 hours to discuss your concerns and schedule a consultation with Dr. Sperling to assess your unique needs and plan a course of action. The Sperling Diagnostic Group integrates patient-centered imaging and image-guided treatment for an unparalleled experience of care. Using the most sophisticated technologies and intuitive approaches, we bring the full scope of diagnostic capabilities to our patients in an atmosphere that is calm, compassionate, and supportive. We want every patient to leave our offices feeling confident and informed as they progress on their path to wellness, so we strive to provide them with every resource available on that path. 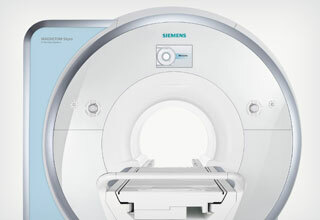 Our 64-channel Magnetom Skyra is the most advanced 3T MRI imaging system on the planet, and Sperling Diagnostic Group is one of just a few centers in America with this technology. It provides the highest possible image resolution and can be used in a variety of configurations to achieve customized screenings—from the most specific focal points to the entire body. QuietSuite™ technology greatly minimizes the typical MRI noise, and the increased magnet power shortens each scan time—all adding up to an easier, more relaxed patient experience.